First erected in 1896 in memory of Elias Bowsky, 3rd Bat. 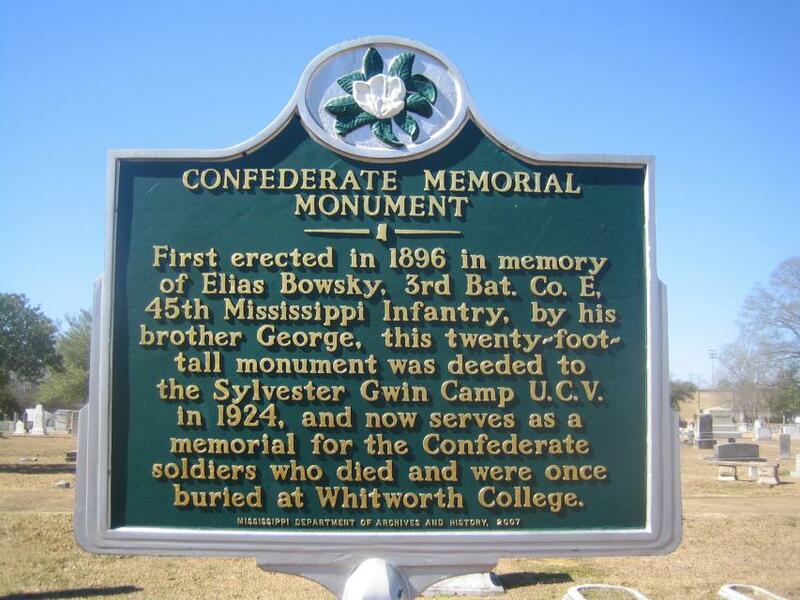 Co. E, 45th Mississippi Infantry, by his brother George, this twenty-foot-tall monument was deeded to the Sylvester Gwin Camp U.C.V. in 1924, and now serves as a memorial for the Confederate soldiers who died and were once buried at Whitworth College. This marker can also be identified by its HM code. You can use the hashtag #HM1INT in tweets, and any other place where you might refer to this marker, including when searching on this site.